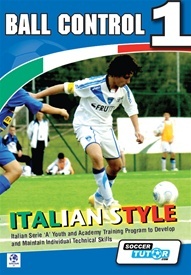 Some nice drills well laid out with a decent UI on the DVD allowing grouped sessions by category. My one criticism was I was expecting the Italian eye for detail of techniques however this was largely a session DVD offering ideas of how to lay out work rather than what to look for. Impressed with many of the drills. I can use many with my junior club.